2010. Video Installation (in situ). An empty place of Art is filmed. Next, the video is shown on a screen parallel to where it was shot.
" 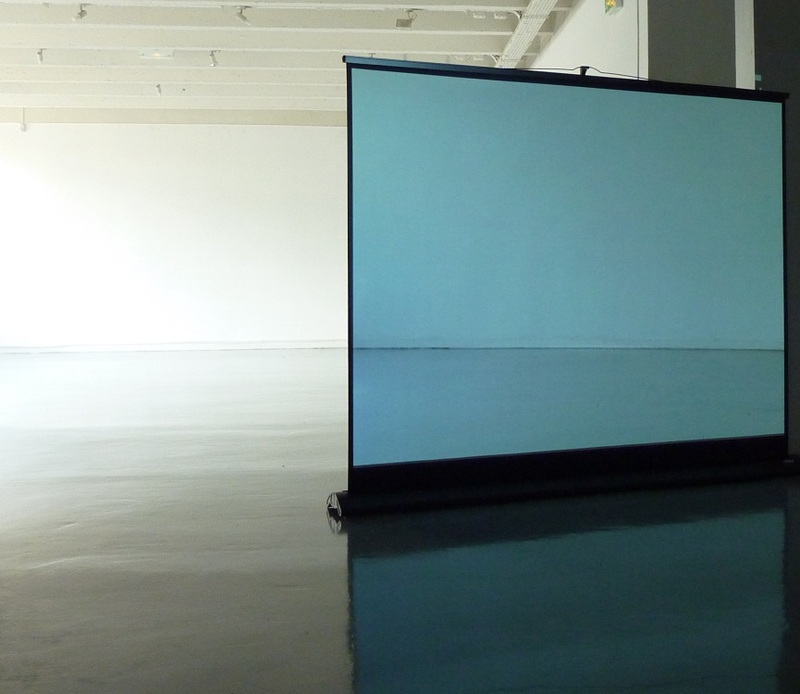 In an empty art space, the artist puts a screen that shows the video previously filmed in this same space. The screen creates a continuity between the two spaces: real and virtual. behind the screen, other spectators he wonders about this image that suddenly distends from the reality. Is it a photograph? A video? This is maybe an open door between two worlds that constantly confront and inspire each other in the works of Aurélien Grèzes. It probably builds this infra-thin distance that creates the gap between the reality and what is hidden to us or only exists in the realm of fiction. "